← Our LA wheels .. 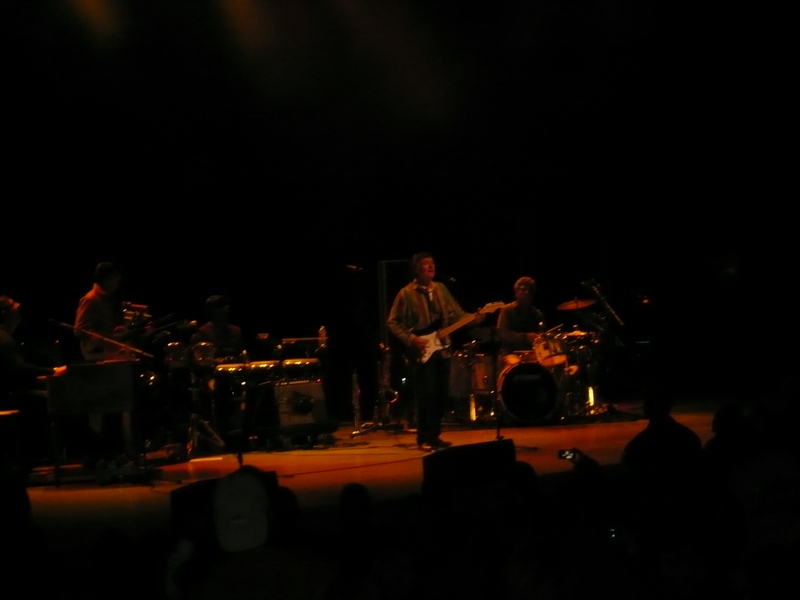 Watching Steve Winwood (of Spencer Davis Group, Traffic and Blind Faith fame) was a truly memorable experience. His voice at age 64 is still amazing and his musical skill, indescribable. Last night’s concert at The Greek was perhaps the highlight of our trip. Not only is The Greek a beautiful theatre acoustically and for fantastic viewing, it was the experience of seeing this amazing musician live, with his backup group, playing his new songs and reliving some of his hits of years ago such as Dear Mr Fantasy, Higher Love, Back in the High Life Again and Can’t Find My Way Home. Needless to say, everyone was on their feet singing, clapping and swaying to the music. We old stagers can’t be kept quiet at concerts (she says as she relives the Rolling Stones Melbourne concert)! Quite prophetic that the beautiful Can’t Find My Way Home was still ringing in our ears as we tried to find our car in the car park. Moment of panic at the end of the evening, but we can report that we made it back to the hotel – over an hour’s drive from the other side of LA – courtesy of our wonderful GPS which continues to keep us on the straight and narrow.